These scabs are hard protective layers formed after you pop a pimple. They are red and are very sore. These scabs form to allow the healing of the affected area and it is best if you do not try to pick on them as it leave a scar. You can however wait for it to slowly heal itself. How to Get Rid of Pimple/Acne Scabs? How Long Does it Take for a Scab to Go Away? Acne scabs are a hard and protective layer formed over the popped acne these form as protective layers to heal the skin. This layer is composed of dried blood, blood fluids, and dried immune cells.hey fall off once the skin is completely healed. This remedy works best with freshly squeezed aloe vera sap. If you do not have a plant at home you can buy the leaves from the market. 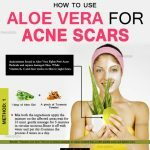 Squeeze out the aloe vera juice from the leaves and apply it on your pimple scabs. Allow it to dry out naturally. Repeat this process 4 to 5 times a day regularly. Alternatively you can apply aloe vera gel cream over the pimple scabs, but the cream must have a high proportion of aloe. Repetitions: Follow this remedy daily for few weeks. 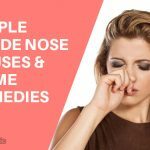 Apple cider vinegar helps in the growth of new cells and it also has various antibacterial anti fungal properties which make it a suitable solution for pimple scabs. Follow the given steps while using apple cider vinegar. Mix together two tablespoon of apple cider vinegar with six tablespoon of water. Gently apply the mixture over the pimple scabs. Let it rest for 20 minutes and then wash it with lukewarm water. Repetitions: Repeat this process twice daily. 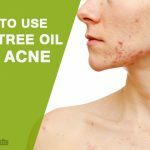 Tea tree oil has many antiseptic properties which makes it a good medication for curing pimple scabs. It prevents any kind of bacterial infection and helps to heal the skin easily. Clean your face with your regular face wash.
Take a clean piece of cotton or an ear bud and then dip it in tea oil. Once it is completely soaked in oil, apply it gently on the acne scars. Do not apply pressure on the scars as it might cause it to openly burst up. Repetitions: You can do this twice or thrice a day regularly to get rid of the acne. Vaseline tends to softens and loosens your scabs so that you can get rid of the dry crusty scab almost overnight, however, your skin will not be healing that fast. The first thing that you need to do is check that the pimple scabs are not oozing any liquid like blood or pus. Once you are sure that your scabs are clean, wash your face with your regular face wash and pat it dry. Ensure that the scabs are well dried. Apply a thick layer of Vaseline on the scab and leave it overnight. This layer of Vaseline will keep the scab moist and stop the entry of any germs. Next morning you will notice that the scab has loosened up. Aspirin is anti inflammatory in nature which helps in soothing the skin and also helps in removing the pimple scabs. You need to follow the following steps while using aspirin. Take two aspirins and crush them. Pour some water to it to make a smooth paste. Clean your face with your regular face wash and pat it dry. Take a clean cotton ball and gently apply the past on the pimple scabs. Let it rest till the mask dries. Gently wash it off with cold water. Repetitions: Follow this method thrice daily. Pimples are a problem for everyone and the pimple scars are an even greater one. How long a scab is going to remain is a difficult question to answer as it largely depends on various factors. If you had a severe breakout of pimples then it is most likely that your scars will not heal easily. It also depends on your body’s healing rate. Another factor is that if your skin is prone to scars then it will not heal easily. 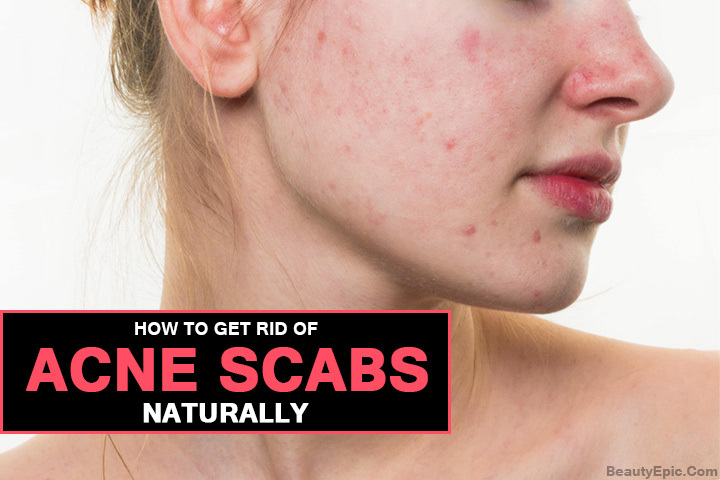 Here are some well proven methods to get rid of scabs at home. You must ensure that you are not allergic to any ingredient before using them.